1. (+) London, the protagonist - This sort of goes hand in hand with London's condition since it's what shaped my perception of her... Anyways, London is strong. I mean, with that kind of condition, it's easy to lose track of things or to fall to all sorts of temptations--you know, if you can't remember of it, why not? But she doesn't let it all go. (Except once... And though it's immature then, it makes her seem more her age and shows how vulnerable she truly can be regarding her condition...) Also, her strength is shown just by coping with this condition--being able to see what happens to you, your friends, your classmates in the future? Ugh. But she deals with that crap, and that's honestly what I remember most about her and what made her a sympathetic character for me. Besides that, she's patient (see #6), kind, and as the romantic interest says, "she does her own thing." It probably is hard to make lasting relationships with that kind of twisted memory. 3. (+) The Message? - ... the idea also had a subtle message in it that each reader can define for his/herself. Ms. Patrick doesn't preach or reflect too much on the issue... but what is more important--the past, the present, or the future? Is there a part of you that's missing when you don't have one or the other? There's this one scene in the book that I found particularly touching... and it's when London falls asleep with Luke, the romantic interest. She wakes up not knowing who he is, why she's so far away from her house, and what happened to her that she's in a van with a stranger. Wow. If I was in that situation, I'm not sure what I would've done, but this novel has me thinking about it even after I'm finished. 4. (+) The Writing - First person present allowed me to easily slip into London's world. I mean, obviously you can't write from a past perspective in this novel since she can't remember things. Or at least it would've been the future that she was "remembering" and it would've been much wackier. My point is that this is one of the few times I've seen the writing style work hand in hand with the idea of the novel. And it was well done. 5. (--) The Pacing - However, even though I think that the writing was done well, I think the pacing was uneven throughout the book. I was excited for the first 100 pages... then a bit bored the next 100 pages... then it picked up so quickly towards the end that I seriously have to question the necessity of some of the scenes that were included. I think that the writing could have been tightened so that the pacing wouldn't have suffered. 6. (--) Teenage Drama - Immediate dislike of her best friend, Jamie Connor. 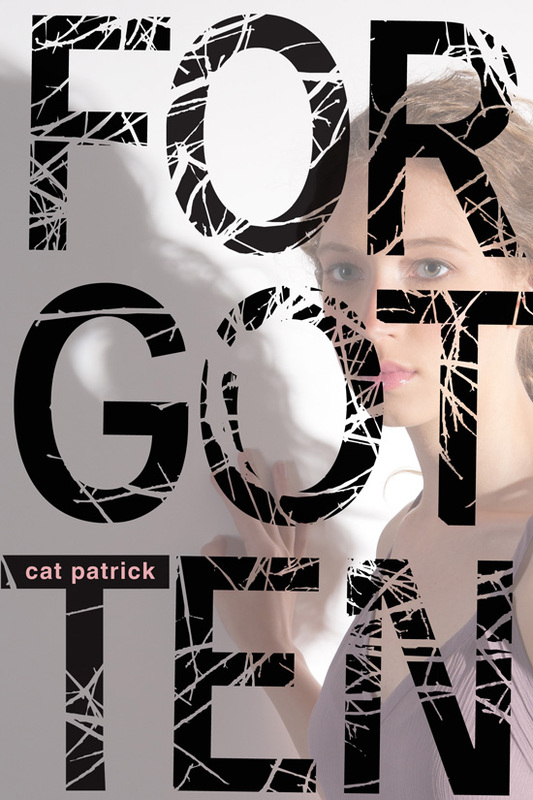 The reason why I don't read very many contemporary YA books is because they're filled with girls like her--catty, selfish, and unforgiving... mostly dramatic though. London tries saving Jamie from the future she sees for her--a sub-plot which I thought was nowhere near as interesting as the rest and should have had less focus--and they end up getting into a fight. Jamie doesn't really speak with London for the rest of year. adfjfaks!! We all say things we don't mean. It could've just been a small fight and something they got over quickly... but nope, it wasn't, and that, in my opinion, was a poor choice. It did not deserve as many pages as it got. 7. (+/-) Not What I Expected - That summary is a mix of the Amazon and Goodreads summaries. 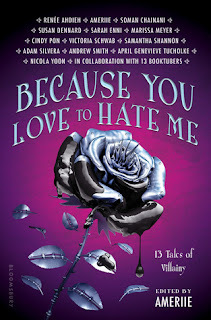 I didn't read the 'part thriller, part romance' section when I first bought it so my initial thoughts were that her condition was going to be more of a twist in the story than it was. Maybe even something against "The Man" or something dystopian-like, given the YA books coming out now. But it's not. It has its own charm... and yet I can't help but feel a tad disappointed. I think there's so much potential to this idea and that Ms. Patrick could've done so many more things thriller-wise... but again, this is just my opinion/were just my expectations. 8. (--) The Ending - Um. So is there a sequel to this novel? There's not a clear cliff-hanger to this novel, but there's an unresolved issue. At the same time, I can't really picture what the sequel would be about at all... so either there should have been a few more pages devoted to fixing that issue or there should have been clues that there is something more later. Either way, I didn't think the ending was very satisfying. 10. (+/-) The Cover - To be honest, I like the Australian cover better (London sitting in a blurry field of flowers). The back of this cover--for the US--has butterflies and continues to expand on London's shadow as seen on the front. That I found nice. And the continuing tree branches on the first pages (like in the font they chose, which I think is a nice font). And I like the look in the model's eyes--that she's looking to the future. But regardless, the font is too large and covers her up... and that to me creates an asymmetry that's not all that appealing. So I'm neutral about the cover. 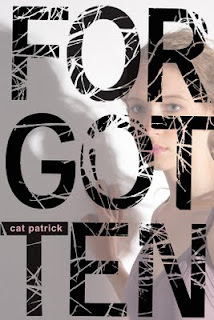 Forgotten is a thriller that challenges readers to think about the importance of memory in our everyday lives with the added bonus of a romance that's sometimes (nauseatingly) sweet but also a mystery of its own. This is my third review for the #30days30books challenge. Take a look at this list to see what's coming up next :). can't believe you've read book 3 already! I love the way you review so much, it's really unique and offers a lot of insight. This book really intrigues me so I'll definitely be giving it a go. I wasn't so sure about this one but after your review I'll give it a try. I'd wanted to read this forever ago and totally forgot about it. I'm glad I saw it pop up on your "You might also like"! It sounds like a mixed bag, but I think it's something I still want to check out. Thanks for the great review!